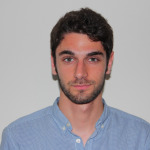 Lorenzo Piccoli is a Postdoctoral Researcher at the nccr – on the move, the Swiss National Center of Competence in Research (NCCR) for migration and mobility studies. He also works as Research Assistant at GLOBALCIT, developing the database Conditions for Electoral Rights and regularly updating the citizenship literature section of the website. His research focuses on multilevel citizenship, with a particular interest on how subnational regional governments affect social and political rights.